What are the factors influencing the cost of development of a Taxi Dispatch Software? We will give it a look in this article! The emergence of taxi booking apps like Uber and Ola have changed the mode of traveling to a great extent. The commuters get a more enhanced experience as never before! Taxi booking apps have made the travel more comfortable wherein you can book the cab services from anywhere in the world, and it will arrive within a span of a few minutes. Even some companies have started providing offline services in case if the customer does not have an internet connection! Anyways that’s how this industry changed. No, let us get into the matter directly. We will see what are the most influencing factors in developing a taxi booking app. Is it a free app or a premium one? You can hire a premium taxi dispatch software and mobile app development company to get the best results for your mobile application. The above given are the few things that you need to check out before opting for one. Now let us see what are the most influencing factors that determine the taxi booking app development cost. iOS on Swift or Objective C.
They do provide valuable user experience and customer service. Hybrid Apps – They are developed on a single programming language and also less complicated in creation compared to the Native Apps. Hybrid apps are easy to manage and develop. Web Apps – It is a kind of website working on mobile devices. The actual website is made responsive so that the mobile users could access it smoothly through their phones. There are a lot of platforms available now for developing your taxi dispatch app. All you need to take care is to select a single platform or a cross-platform for your app. Android and iOS – Both the versions almost cost the same. But Android may cost a little higher due to the plentiful versions available in the market. Android is developed in Java and iOS app development requires Swift programming language. Web Apps: Web applications are cost-effective compared to the other formats. Cross- Platform app Development – This category also is highly cost-effective as it requires fewer development works. Selecting the best platform for developing your taxi dispatch app can impact the app development cost. A lot of determining factors are there which defines the complexity of an app. Some of them include admin panel development, third-party integration, in-app purchase, hardware, etc. The complexity of your taxi booking app decides the cost of the app. Application Program Interface is what helps the developer to write a program for the services it makes to an operating system. It’s mainly available in three basic forms. They are local, web-like, and programs like. API also plays an important role in determining the development cost of the taxi booking app. Animations and App Design- Factors like Wireframing, UI designing and Animation impact the cost of mobile app development in a greater way. The two options for designing an app are in custom UI and standard UI. Customized UI is more complex and expensive when compared to the Standard UI. The final app screen flow of your taxi booking app depends on the Wireframing. Wireframe selected by the client has an impact on the cost. There will be no additional cost for the wireframe that is already made. The final stage of mobile app development is App Maintenance. Updates – Keeping your app always updated regularly is very much important. Operating System – It’s also very much important to keep your apps compatible with the latest version of Android and iOS. Libraries – Most apps use a third party library which will get broken unless updated. Security Bugs – After the release of the app, it could be affected by bugs any time. So, always give importance in keeping the app up to date in order to fix the bugs. This blog intends to find out the cost influencing factors that determine in case of the development of a taxi booking app. 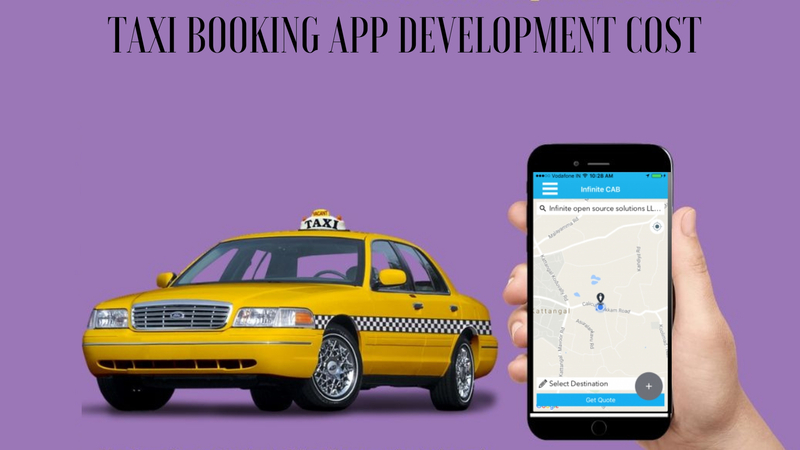 Many more factors like project size, customer support, geographic location apart from the ones listed here are factors that influence the cost of taxi booking app development. Try a Free Taxi Dispatch Software Demo. Wanna build an Uber-like taxi booking app for your taxi business? Contact us. Also, find out more about the Cost of Building an Uber Like Taxi App. How Technology Redefines The Taxi Business?